It would be unthinkable for an American opposition party run openly out of Moscow to compete in American elections. It would be even more unthinkable for the Russian government to declare US elections illegitimate for disallowing a Moscow-backed party from running in American elections. Yet this is precisely what the US and the European Union have attempted to do in the wake of Cambodia's recent elections regarding an opposition party created by Washington and whose leadership calls Washington a second home. Critics have called the vote a sham as the Cambodia National Rescue Party (CNRP), which narrowly lost the last election, has been dissolved. The US said the poll was "flawed". "We are profoundly disappointed in the government's choice to disenfranchise millions of voters, who are rightly proud of their country's development over the past 25 years," a statement from the White House said. The US will consider placing visa restrictions on more government officials, it added. The EU has said it is considering economic sanctions. However, the BBC never explains why the Cambodia National Rescue Party (CNRP) was dissolved. Had it, Washington and Brussels' statements would have been immediately rendered hypocritical and Cambodia's decision to dissolve CNRP more than warranted. This is because CNRP is openly run out of Washington, with US support, for the expressed aim of undermining and eventually overthrowing the current Cambodian government. Kem Sokha who had led CNRP until its dissolution had travelled to Washington annually since as early as 1993 to seek support from the US. He also repeatedly announced receiving direct US support, as well as plans for subverting the Cambodian government with US backing. Sokha says he has visited the US at the government’s request every year since 1993 to learn about the “democratisation process” and that “they decided” he should step aside from politics to create change in Cambodia. “They said if we want to change the leadership, we cannot fight the top. Before changing the top level, we need to uproot the lower one. We need to change the lower level first. It is a political strategy in a democratic country,” he said. “And, the USA that has assisted me, they asked me to take the model from Yugoslavia, Serbia, where they can changed the dictator Slobodan Milosevic,” he continues, referring to the former Serbian and Yugoslavian leader who resigned amid popular protests following disputed elections, and died while on trial for war crimes. Kem Sokha's daughter, Kem Monovithya, has also openly worked with the US to seek the overthrow of the Cambodian government. When Cambodia began its crackdown on both CNRP and the US-funded organisations supporting it, the US threatened sanctions and other punitive measures. Kem Monovithya would play a central role in promoting these punitive measures in Washington. 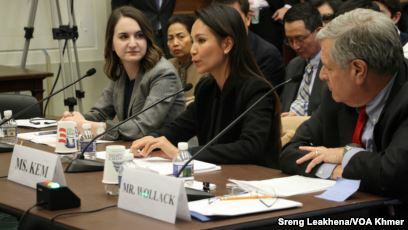 ...in Washington, a panel of “witnesses” convened by the House Foreign Affairs Committee – including Kem Sokha’s daughter, Kem Monovithya – called for additional action in response to the political crackdown. In a statement, Monovithya urged targeted financial sanctions against government officials responsible for undermining democracy. She also called on the US to suspend “any and all assistance for the central Cambodian Government”, while “continuing democracy assistance programs for civil society, particularly those engaged in election-related matters”. 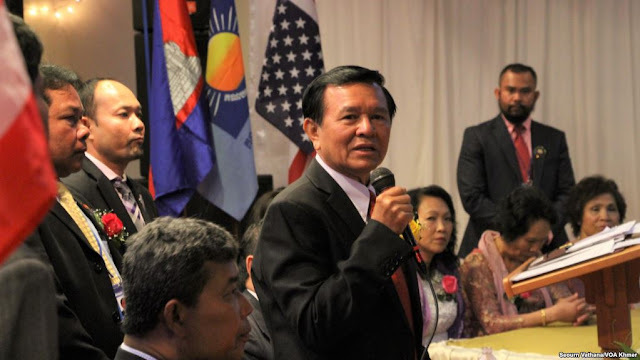 Kem Sokha, a former Cambodian senator and official, heads the Cambodian Center for Human Rights, which is supported by U.S. government funds. The center has held public forums to hear complaints about conditions in Cambodia. Monovitha Kem, a business school graduate and aspiring lawyer, said she would lobby U.S. and international institutions to fight Hun Sen's decision. "I would like to see the charges dropped not just for my father, but for all other activists," she said in an interview Monday. "I hope they will amend the defamation law." Monovitha Kem has met with officials at the National Democratic Institute for International Affairs, the International Republican Institute, the U.S. Agency for International Development and major human rights groups. The National Democratic Institute (NDI) and International Republican Institute (IRI) are both subsidiaries of the National Endowment for Democracy (NED) which, together with the US government itself, have supported myriad subversive activities within Cambodia for years. This includes a number of organisations cited in a May 2018 Washington Post article attempting to deny claims of US meddling by citing almost exclusively US-funded fronts operating in Cambodia. This includes Licadho, which is funded by both the UK government and the US via USAID. It also includes Radio Free Asia and Voice of America, both of which are funded by the US government and overseen by the Broadcasting Board of Governors chaired by US Secretary of State Michael Pompeo himself. There is also the Cambodian Center for Independent Media, funded by NED subsidiaries Freedom House and IRI as well as the British Embassy and convicted financial criminal George Soros' Open Society Foundation. Literally decades of US meddling in Cambodia's politics, including the creation of both Kem Sokha's opposition party and organisations created and funded by the US government to support it, along with plans to overthrow the current Cambodian government to install CNRP into power, represents in reality political meddling many times worse than even the most imaginative accusations made against Russia in regards to meddling in US and European politics. US interests in Cambodia go beyond merely controlling the nation's people and resources, it stems primarily from a much wider and long-term plan to encircle China with client states serving Washington's vision of perpetual American primacy in Asia. 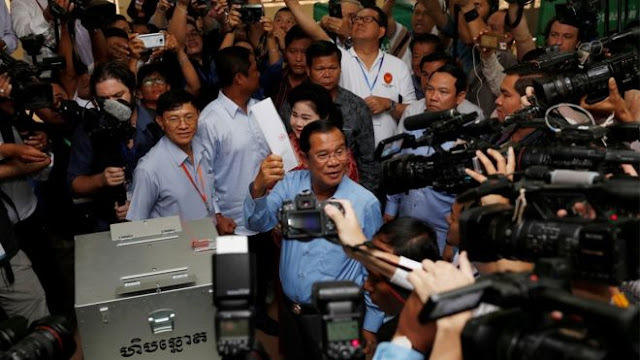 Along with allegations from US-European leadership and their respective media conglomerations attempting to condemn Cambodia's recent elections as "illegitimate," US-European media made little effort to hide equal condemnation regarding China's inroads into Cambodia recently. China announced a major infrastructure project in Cambodia midway through its election campaign and denounced proposed economic sanctions by the European Union on the Southeast Asian nation. China’s ambassador in Phnom Penh also attended a ruling party rally in the Cambodian capital, according to a media report. 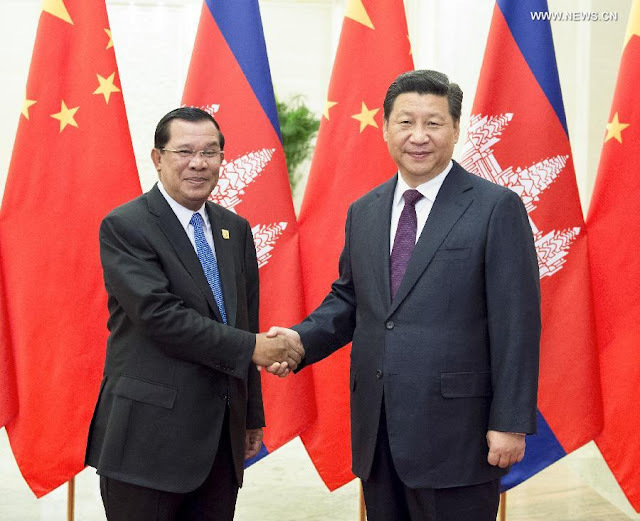 The flurry of moves during the three-week campaign shows China is leaving nothing to chance to ensure its most loyal ally in Southeast Asia, Cambodia’s long-time ruler Hun Sen, comfortably wins Sunday’s poll, political analysts said. Thus, while many may be tempted to defend US meddling in Cambodia as they have similar US meddling elsewhere as merely "promoting democracy" and "human rights," it is clear that US meddling in Cambodia sought to prevent China from building constructive ties with a friendly government by creating a client state that would spur Beijing in favour of Washington. Reuters complains that Cambodia has supported Beijing over Washington amid ongoing South China Sea tensions. 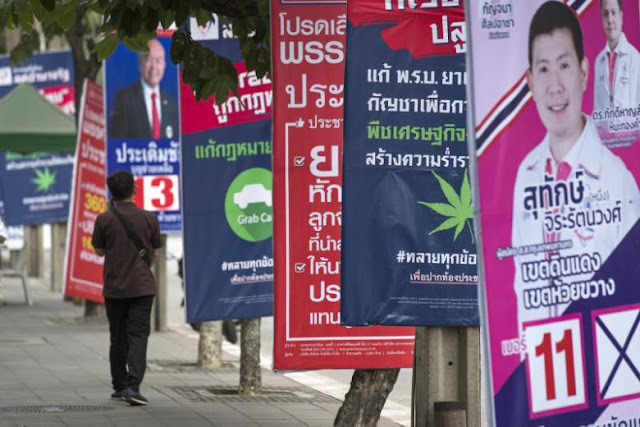 Reuters even obliquely suggests that infrastructure deals made between China and Cambodia during the election campaign constituted some form of political meddling. No mention of overt US meddling in Cambodian politics, including the creation and sponsorship of the main opposition party, CNRP is made in Reuters' article. While Reuters claims Cambodian relations with the West includes "decades of diplomatic effort and billions of dollars of aid and investment," Cambodia has very little to show for it. Claims that the West "bristled at human rights violations and electoral irregularities in Cambodia" opened the door for closer Chinese-Cambodian ties begs belief considering no such human rights-based "bristling" occurs in regards to Western ties with Saudi Arabia, Qatar and the current government in Ukraine. It is clear that the US and Europe attempted to reassert control over Cambodia through the co-opting of its government and institutions and that much of the West's supposed "investments" in Cambodia were directed into this political meddling. Conversely, China is proposing actual infrastructure projects like motorways, airports and electricity distribution networks, all areas Cambodia is critically lacking in, even after "billions of dollars of aid and investment" from the West. Cambodia, through its ties with China and its own straightforward approach to uprooting foreign meddling in its internal affairs has averted the latest attempt by the US and Europe to destabilise the nation and exert control over its future from Washington and Brussels. Other nations in the region, including neighbouring Thailand and Malaysia, still face extensive US-European meddling including persistent street movements and large networks of US-funded media platforms, legal firms and even political parties seeking to destabilise, and if possible, overthrow local governments and independent institutions. Only through fully recognising the threat and working together can Southeast Asia ensure the age of American-European colonisation has ended for good and a new era of multipolarism and self-determination can begin.